Last week, Russia celebrated the seven-day folk fest Maslenitsa, or Pancake Week. Festivities were enjoyed by people all over the country, and there was no shortage of pancakes. The essence of all Maslenitsa traditions is driving winter away and awaking nature. 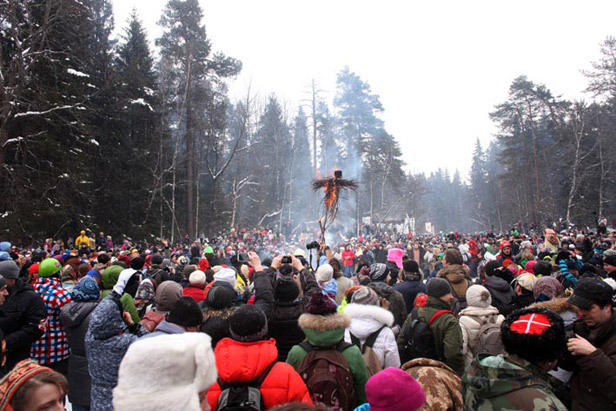 Sliding down icy slopes, jumping over the bonfire, storming a snow town and other games and entertainment were all part of this holiday at Bakshevskaya Maslenitsa at Moscow outskirt. Over 4, 000 visitors have gathered here, which made this celebration one of biggest of its kind in Russia.